Transmanche Ferries' Newhaven Dieppe route is now run by DFDS. 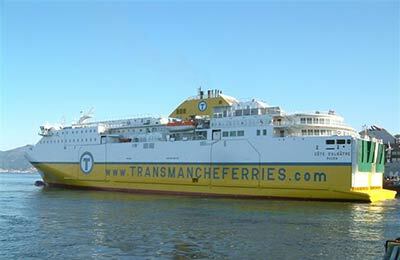 You can use AFerry to book a Transmanche ferry to France and England. Transmanche provides high quality service ensuring you have a comfortable journey. AFerry always has the latest deals and offers on Transmanche ferries. 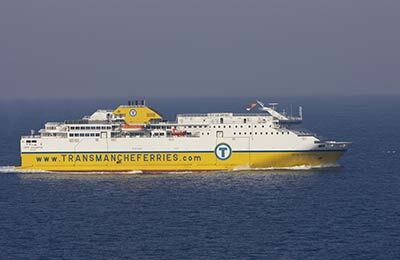 You can use AFerry to book Transmanche ferries to Dieppe and Newhaven. For all Transmanche ferry routes and the latest prices and sailing times see below. Click on your ferry route for a detailed timetable with arrival and departure times. When you step onto any Transmanche ferry you will find a host of onboard facilities to keep you entertained and relaxed throughout your journey. Transmanche's ferries have stunning lounges with panoramic views, self service restaurants with plenty of varieties to choose from including full English and French breakfasts and children's menu, game rooms, café and bar, duty free shopping and kid's areas along with spacious, comfortable cabins onboard. Transmanche Ferries fleet consists of two new ships; the Seven Sisters (operating the Dieppe to Newhaven service) and the Cote D'Albâtre (currently serving on the LD Lines' route from Le Havre to Portsmouth) which are equipped with ultra modern stabilizers to provide utmost comfort at all times.